Sienna, Streeterville's newest apartment community, is now open—and it brings a long-awaited mid-rise option to this neighborhood dominated by high-rise towers. 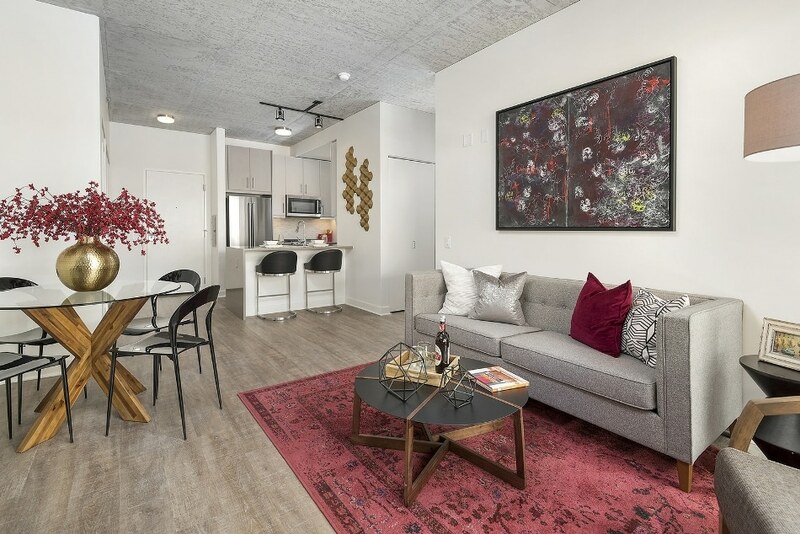 Chicago-based Golub & Company, together with Diversified Real Estate Capital, announced today that the first residents have moved into the six-story mixed-use apartment community at 423 Ohio Street. Sienna's limited number of boutique rental apartments offer a spacious, contemporary loft design amidst the lively urban Streeterville neighborhood. "Sienna puts residents in the center of one of Chicago's hottest neighborhoods in a more intimate setting than a typical high-rise building," said Golub & Company President and CEO Michael Newman. "Sienna's relaxed yet upscale approach to city living stands apart in downtown Chicago and will draw new residents, particularly those seeking a non-high-rise option, to this popular area." Sienna includes five floors of apartments, with 10 residences per floor; the residential floors are complemented by one floor of ground-level retail totaling 5,600 square feet. Open Houses are scheduled for Tuesdays and Thursdays from 5:00 to 7:00 p.m., making a visit to Sienna easy after work. The one- and two-bedroom floor plans feature oak-tone plank flooring throughout, exposed concrete ceilings, European-style frameless kitchen cabinetry, marble mosaic backsplashes, quartz countertops, stainless steel KitchenAid appliances, porcelain wall and floor tile in bathrooms, in-unit, full-size washer and dryer sets, USB ports in kitchens and bedrooms, and Nest Learning Thermostats. Sienna's amenities include a rooftop deck with grilling stations and lounge furniture, a fitness center, smartphone video intercom system, automated package pick-up system, bike storage, a dog run and pet grooming station, and Wi-Fi in common areas. The building was designed to meet LEED Silver certification. For more information about features and amenities, including floor plans, visit www.siennachicago.com. Diversified Real Estate Capital is a joint venture partner in this development, with a team led by Mike Miller and Jeff Cherner, co-founders of Diversified Real Estate Capital. "Our investment strategy calls for multifamily developments in strong urban submarkets, with compelling market positioning," explained Cherner. "We're confident that the Streeterville neighborhood's appeal coupled with Sienna's boutique design will deliver strong investor returns." The architect for Sienna is Solomon Cordwell Buenz and the general contractor is Walsh Construction. Construction financing was provided by The PrivateBank as Agent and Sole Lead Arranger.